14 Central Universities, established by an act of Parliament and the Bengaluru Dr. B. R. Ambedkar School of Economics, an autonomous institution of Government of Karnataka, jointly organize Central Universities Common Entrance Test (CUCET-2019) for various Programs. The test will be conducted at different centres across the country on 25th & 26th May 2019. For complete information related to CUCET 2019, candidates must go through this notification. 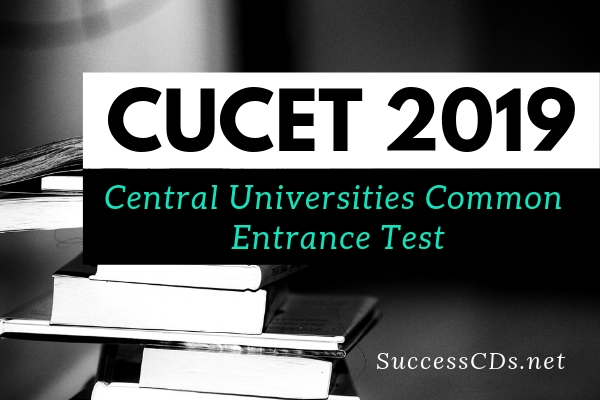 CUCET, Central Universities Common Entrance Test, an all-India test is being organized by 14 Central Universities for admission to various Integrated/Undergraduate, Postgraduate and Research Programs (MPhil & PhD) in these Universities/Institutes. The Bengaluru Dr. B.R. Ambedkar School of Economics is also a participating Institute (BASE). The notification for CUCET 2019 is out. The online application will commence 13th March 2019. Candidates can check details of CUCET-2019 Exam, including exam dates, application form, eligibility, etc. A candidate may fill the form partially and login again to complete it later; candidates will receive SMSs and Email alerts at the time of registration and after completing payment through online, in the offline case the student will get a message after reconciliation from SBI. Stage 3: The following is the screen shot for registration process into various program; after successful registration candidate will get a mail and message to the respective register mail id and mobile. Stage 4: The following is the screen shot for Registration Details of a particular candidate in to various program. Stage 5: In this stage a candidate can upload his/her photo and sign scan copy with the limited size. Stage 6: In this stage a candidate can register for the three courses in a particular selected program from each university. Stage 7: In this stage a candidate can edit his application form and go for payment processes in online and offline (SBI Only) mode. There will be negative marking in CUCET-2019. Each correct answer will carry 01 mark and for each wrong answer, 0.25 marks will be deducted. Questions not attempted will not be assessed and hence will not be considered for preparing final merit list.